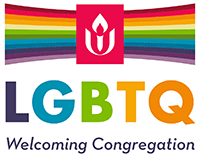 The Unitarian Universalist Church of Augusta, GA, will install Reverend Doctor Gaye Ortiz as their called Minister on September 23rd at 2:00 pm. During the two years that Rev. Gaye served our congregation as a half-time Minister (September 2011 through August 2013), we attained recognition as a Welcoming Congregation. Congratulations to Rev. Gaye and AACA on this important milestone!